When visiting in RI consider a family friendly fishing trip aboard one of the charter boats in Jerusalem, across from Galilee. Jerusalem, Rhode Island is a beautiful place to visit with beaches and little restaurants and marinas right on the water. It is a great place to see during the summertime with excellent views and cool breezes. Located at the Jims Marina are several charter fishing vessels that can take you out on an exciting fishing charter for one or more of the many species of game fish available for you to catch in Rhode Island waters. So come on down for a fishing trip it will be a great time on the water during the hot summer months. 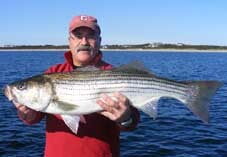 There are a number of species that we can fish for in Rhode Island including striped bass, bluefish, flounder, sea bass, scup, tuna, and tautog. Check out the fishing calendar for when you can fish for these different species. Below is the list of charter boats that sail from Jerusalem. 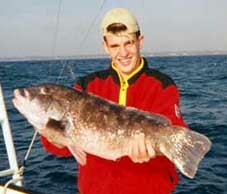 Call any one of them for more information about their charters. Typical pricing ranges from $400-$650 for a trip depending on species and length of time. 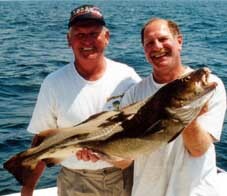 Jerusalem Rhode Island Fishing Charters.